Giacomo Orsini, ECDPM Great Insights magazine, Summer 2018 (volume 7, issue 3). 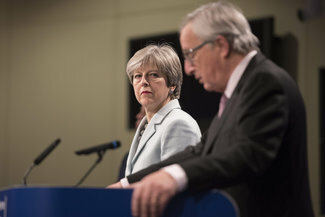 As Brexit approaches, Britons were frequently reminded that an exit from the EU was, for British authorities, the only way to ‘take back control of [national] borders’ (Reuters, 2017). While campaigners concentrated on EU citizens’ mobility to the UK, the debate was inflamed by a seemingly permanent emergency along the outer borders of the EU, culminating in the 2015 refugee crisis in the Balkans. 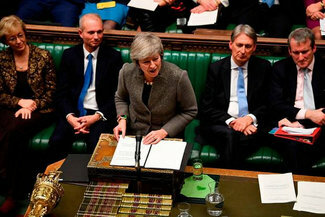 Critics emphasised the EU’s incapacity to secure its external borders and prevent unauthorised third country nationals (TCNs) from approaching, then entering British territories (see Grice, 2017). The common understanding was that, once independent from Brussels, UK authorities would become able to select those it allowed onto its soil, thus barring the many asylum seekers waiting to enter Britain from continental Europe (Watt, 2016). Nevertheless, a closer look at the mechanics of border and migration control in the UK raises questions about how leaving the EU could possibly improve UK authorities’ ability to prevent unwanted TCNs from entering Britain. 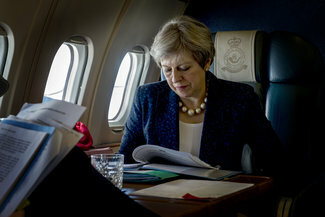 Here I critically assess post-Brexit scenarios, concentrating on a distant maritime border space; that is, the stretch of Mediterranean that extends from the Strait of Gibraltar to the Sicilian Channel. The central and western Mediterranean routes of unauthorised migration between Africa and Europe traverse these waters. Thousands of undocumented people cross this maritime area annually to reach Europe. It is the deadliest border crossing today. The EU has invested substantially to improve control and surveillance. The recent proposal by the Commission on the multiannual financial framework suggests increasing this spending. Desk research and data collected in a series of fieldwork studies conducted since 2008 along the EU’s external borders in Malta, Lampedusa, Melilla, and Gibraltar indicate few opportunities for Britain to enhance control of those entering its territories after Brexit. Rather, all indications suggest that leaving the EU will reduce UK authorities’ capacity to effectively control unauthorised migration. Unexpected and challenging scenarios are particularly likely to arise along an almost invisible British border in the Mediterranean: the seawaters that separate Gibraltar from Morocco and the rest of Africa. Before discussing the issues surrounding the tiny British overseas territory of Gibraltar, it is useful to review British involvement in the European management of the EU’s larger Mediterranean border. As the Schengen zone of free movement of people expanded, unauthorised migration and asylum into Britain became increasingly associated with images of undocumented TCNs crowding the improvised camps of Calais in Northern France (see, e.g., Duffin, 2014). 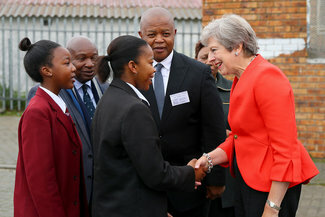 Thousands of migrants, most from Africa and Asia, waited there for a chance to enter Britain unauthorised, in many cases after they had already entered and crossed Europe unauthorised. 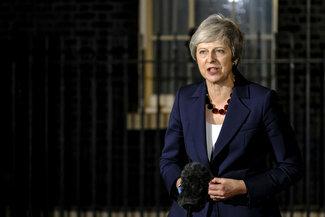 To deter people from crossing and keep these unwanted travellers out, British authorities reached agreements on juxtaposed border controls with France and Belgium. Such cross-border cooperation increased in the months leading up to the migration and asylum crisis of 2015 (France in the UK, 2014). 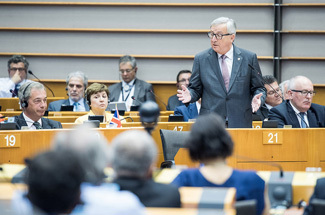 That crisis was particularly felt along the EU’s most external borders; that is, in places such as the Italian island of Lampedusa and the Spanish enclaves of Ceuta and Melilla. This is why, while cooperation around the British Channel grew, British authorities also started contributing to the complex governance of the Schengen area of free movement (House of Lords, 2017). As the UK is not part of Schengen, its goal in increasing cooperation, for instance, with the European Border and Coast Guard Agency (FRONTEX) was to transfer at least part of border and migration control southwards, and thus away from the English Channel. In this respect, over the years successive British governments made substantial contributions to patrolling the external borders of the EU. The UK provided both navy support to patrol the Mediterranean and financial contributions to FRONTEX operations. Along the same lines, the UK received special treatment from its European partners. Though Britain did not join the area of free movement of people, the UK was allowed to become part of the Dublin Regulation. This meant it could return refugees to other safe European countries they had transited. Within this framework, British authorities were also given access to the EURODAC archive, in which data are stored, such as fingerprints, on TCNs who had applied for international protection within the EU. If the UK would like to retain access to these information and policy instruments after it leaves the EU, it will probably have to be renegotiated. Here, thus, Brexit brings a risk that Britain might lose capacity to monitor unauthorised TCNs’ mobility in Europe (Hulme, 2017). In addition, other and new challenges could arise in a distant British borderland located at the gate of the Mediterranean. Though enhanced border control is often presented as the core strategy for tackling unauthorised residence in Britain, the greatest majority of unauthorised people living in the UK in fact entered with a regular permit and then overstayed (Vollmer, 2011). The thousands who have crossed the Mediterranean undocumented to reach Europe constitute only a tiny minority of irregular TCNs residing in the EU. Furthermore, evidence suggests that no border can be entirely secured (KIB, 2016). It is simply unfeasible to effectively patrol borders, especially maritime ones, as there are countless ways to cross undetected, and no technologies available to prevent it (Orsini, 2015). From this perspective, then, loss of access to Communitarian policy instruments to manage and control migration and asylum will not significantly impact British authorities’ ability to limit the number of unauthorised TCNs living in the country. Yet, leaving the EU could pose dramatic challenges for British migration and border management in the Strait of Gibraltar. Gibraltar never joined the EU and shares a land and a maritime border with Spain and Morocco. Within the framework of an international dispute between the British and Spanish governments – and, partly, the Moroccan one – which has now lasted for two thirds of a century, the three countries recognise different jurisdictions over the waters of the Strait (De Vivero, 2009). Officially, Spanish and Gibraltarian law enforcement agencies do not cooperate at all in controlling the shared maritime and land border. However, data collected in the enclave and observations there indicate quite a different story. Due to the mechanics of everyday international border management, Gibraltarian and Spanish forces de facto collaborate rather closely. This is recognised, though only obliquely, in official documents issued by Gibraltarian authorities (GPR, n.d.). Off the record, Gibraltarian law enforcement officials explained to me how migration and border management works in the waters surrounding the British enclave. If a migrant boat enters Gibraltar’s national waters and is quickly detected by Gibraltarian forces, it is usually pushed back into Spanish waters. The boats of the Guardia Civil then take the migrants on board and land them on Spanish soil. If, instead, boat migrants are detected too close to Gibraltarian shores, TCNs are landed in Gibraltar and immediately transferred to Spain across the land border. Supporting such informal accounts is one hard fact: despite the reality that the Strait of Gibraltar is one of the main entrances for undocumented border crossings into the EU, very few arrivals are recorded in Gibraltar. If, following Brexit, Spain stops collaborating, undocumented migrants could reach the Rock and apply for asylum there. This could create the conditions for a humanitarian crisis to unfold in this detached British territory. Furthermore, Spain operates a sophisticated maritime border control apparatus on the Strait, called the Integrated Exterior Surveillance System (Carling, 2007). The UK’s continued reliance on this system would become impossible without cooperation with Spain and the EU in place. As seen here, there are no grounds to think that Brexit will enhance British control of its borders. 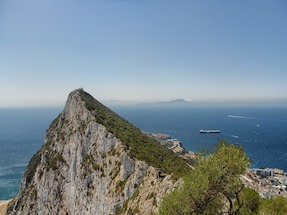 Rather, the UK’s devolution from the EU will potentially turn Gibraltar into a gate for TCNs to enter Britain directly from the coasts of North Africa. 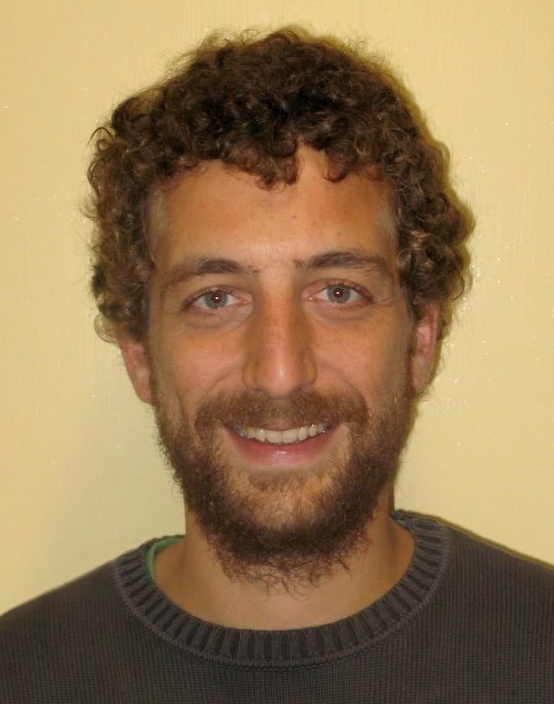 Giacomo Orsini is a postdoctoral researcher at the Université Catholique de Louvain. He teaches international migration at the Université Libre de Bruxelles and is an associate member of the Vrije Universiteit Brussel and the University of Essex.